Terraphase is an environmental consulting company that offers cost-effective solutions to complex environmental and engineering challenges. We apply technical expertise and keen awareness of the regulatory framework to achieve our clients’ project goals and objectives. The combined talent and experience of Terraphase’s engineers, geologists, and scientists form the foundation for a comprehensive environmental management approach. Terraphase was founded with the goal of developing a full-service engineering and consulting firm that provides high-quality services to clients with regional and nationwide operations. Our principals and staff provide services for many private clients and public entities. 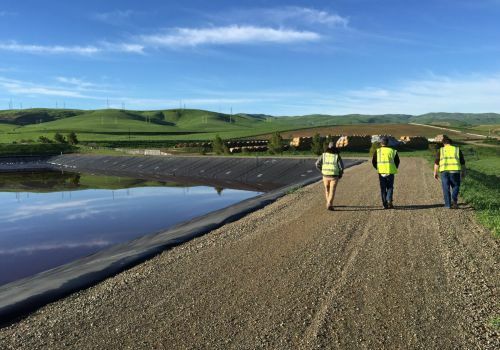 Terraphase has registered professionals in civil engineering, geology, hydrogeology, geotechnical engineering, and stormwater management. Terraphase is a California-Certified Small Business (#1469260) and a Federal Small Business for all NAICS codes under subsectors 541 and 562. We take great pride in our professional commitment to our clients’ needs. Terraphase was founded on what we believe are the key tenets of client service: understanding our clients’ needs; dedication to technical quality; responsiveness and flexibility; and, cost-effective project management. As a small business, we are nimble and respond rapidly to project needs through efficient project management and project implementation.